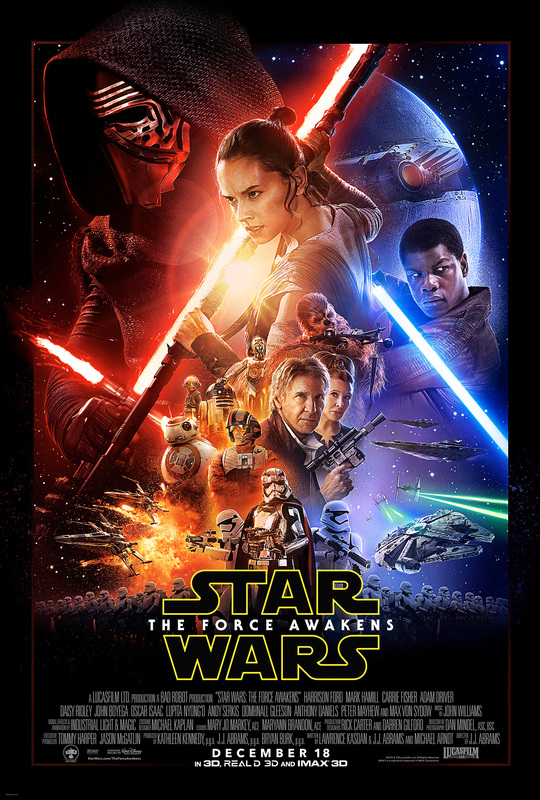 Synopsis: Three decades after the defeat of the Galactic Empire, a new threat arises. The First Order attempts to rule the galaxy and only a rag-tag group of heroes can stop them, along with the help of the Resistance. Did You Know? This is the first Star Wars movie in which Harrison Ford received top billing, which also makes it the first Star Wars film in which a non-Jedi character is billed first. Quotables: SNOKE: There has been an awakening. A Word from the Guise: Along with millions of people around the world, this was the film that I was anticipating the most for 2015. And it did not disappoint. J.J. Abrams knocked it out of the park. The Force Awakens redeems the bastardization of the prequels by taking us back to our roots and raising the stakes. It is easily the most well-written story in the Star Wars saga. It was really refreshing to see a female and a POC in the two leading roles, as opposed to be relegated to supporting characters or as extras. Daisy Ridley and John Boyega were brilliant. They had amazing chemistry together, and I love their characters. There’s been a lot of mystery surrounding the crop of new characters in The Force Awakens, particularly the identity of Kylo Ren, the face of the First Order. Due to the lack of Luke in the trailers, many fans were speculating that Kylo Ren was actually our hero from the original. This would account for Ren’s obsession with Darth Vader. But if Luke could resist the seduction of the Emperor in Return of the Jedi, what could possibly make him succumb to the Dark Side? I, for one, was very relieved that Ren turned out not to be Luke Skywalker. It was much more epic when it was revealed that he was the son of Han Solo and Leia Organa, which makes him Vader’s grandson and Luke’s nephew. He trained as Luke’s Padawan before being seduced by Snoke, the Supreme Leader of the First Order to join the Dark Side. I could not breathe and my heart was pounding when Han finally confronted Ren aboard the Starkiller, a ship (or planet?) that is larger and much more powerful than the Death Star. I knew it was coming, but I still sat at the edge of my seat with my hands over my mouth as Han tried to talk to his estranged son. There was a moment of levity as Ben Solo surfaced from deep within Kylo Ren. But then the Dark Side took hold of him again, and hundreds of voices in the theatre cried out in anguish as we watched one of our most beloved characters get stabbed through the chest with a lightsaber. Han Solo is dead. And to add insult to injury, he fell from the bridge into the very core of the Starkiller, which went supernova minutes later. But not before we had an epic lightsaber duel between Kylo Ren and Rey. Which brings me to my own speculation. Who is Rey? On the surface, she’s a Force adept scavenger from the planet Jakku. But through a montage of flashbacks we get snippets of how she came to be on Jakku. But the film gave us only enough to speculate who she really is. From what we saw, I am inclined to believe that she is none other than Luke Skywalker’s daughter. The flashback sequences show her as a little girl with Luke in the middle of a desolated planet, where they are confronted by the Knights of Ren. Then she is left on Jakku, possibly as a parallel to how Yoda and Obi-Wan hid Luke and Leia on separate planets to hide them from the Emperor. Taking that and adding what millenia-old Maz Kanata tells Rey about Skywalker’s lightsaber, it might be safe to assume that Rey is his daughter. If not his daughter, then she could be Kylo Ren’s little sister. Either way, she has to be a Skywalker. With Luke finally making his appearance at the end of the film, I would imagine that we will learn the truth in Episode VIII. And I simply cannot wait until then.